Clear golden straw color. Tropical, floral aromas and flavors of lychee, mango custard, yellow rose, and citrus gelatin candy with a supple, petillant, fruity sweet light-to-medium body and a smooth, interesting, crisp finish displaying accents of orange spice cake, apple cider, lemon sherbet, and chalk with fine, dusty tannins and no oak flavor. A fun, spry dessert wine for sipping with desserts or spicy foods. 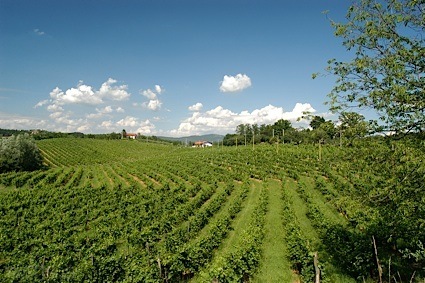 Bottom Line: A fun, spry dessert wine for sipping with desserts or spicy foods. 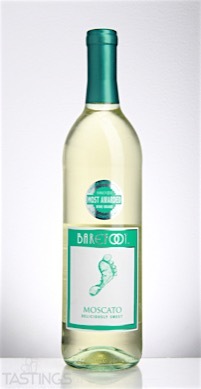 Barefoot NV Moscato, California rating was calculated by tastings.com to be 87 points out of 100 on 12/6/2016. Please note that MSRP may have changed since the date of our review.